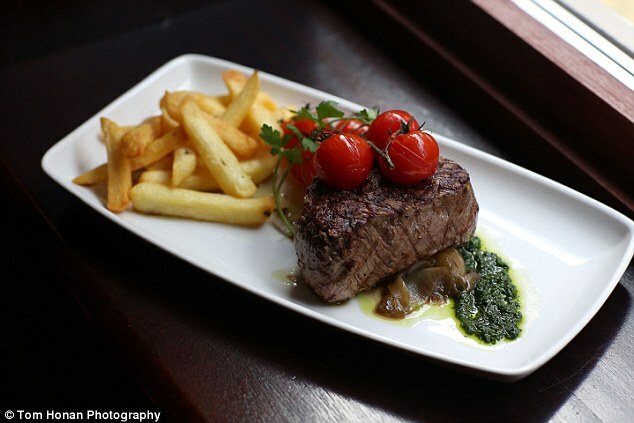 A romantic meal out has traditionally been viewed as sure-fire way of wooing a prospective partner. But if your date chooses steak and chips in preference to a rocket salad, it might be that he or she just isn’t that into you. New research suggests men and women curb their appetite for food in order to boost their chances with an attractive date. Experiments found that if the companion across the table is attractive, both men and women will reduce their calorie count by up to 20 per cent. Experts suspect ‘signalling theory’ – where ‘people show their desire to be healthy to a potential mate by eating less’ – may explain the results. ‘It could be said that people adhere to the mantra of “you are what you eat”, eating low-calorie meals in an effort to appear healthier and more attractive in the presence of a dining partner,’ say researchers writing in the journal Appetite. The researchers from East Carolina in the US analysed what 600 men and women ate when faced with dining in different scenarios.